It’s not everyday that a new over-the-air network launches, especially a network with an evening newscast. 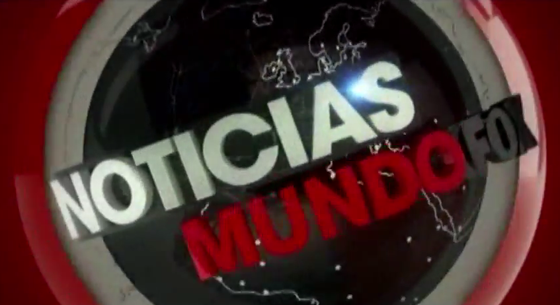 The program, much like the network, uses circles heavily in its design. 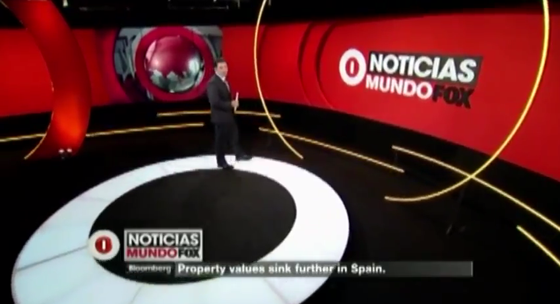 The “Noticias” opening uses circles and spheres to create a simple yet effect opening. The music is driving, similar to the Sky News theme, and mixes well with the animation. The program also uses hashtags throughout, to emphasis interaction. While the program had some bumps on the first few nights, its beginning to look better. One curious graphic is the lower third, which seems just oddly conceived. As you can see, the name is just thrown above it. The red box, where you might expect two lines of text, just has the subtext. It’s interesting to note that the ticker is powered by both Bloomberg and Wall Street Journal headlines. 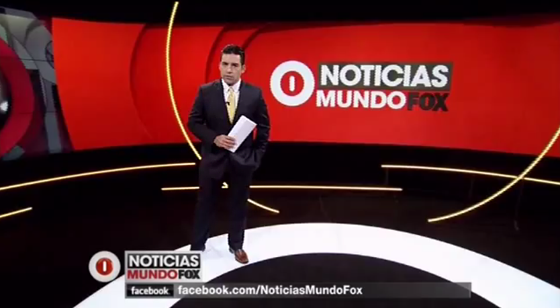 The set is very polished, combing multiple standing areas, monitor walls and backlit elements. It’s a bit dark, but the red helps it pop from all directions. Semi circle lines intersect parts of the walls, creating floating elements which work.